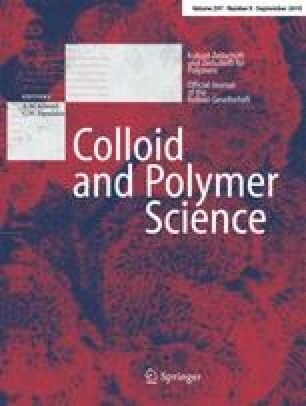 Poly (N-isopropylacrylamide) microgel particles are found to form colloidal crystals similar to those occurring in typical hard-sphere colloids like poly(methylmethacrylate) beads. Samples made of particles with different cross-linker concentrations are investigated and their deswelling ratio is determined using dynamic light scattering. Small-angle neutron scattering data are also presented and analysed in terms of a face-centred-cubic crystal structure. The characteristic length, a, of the elementary cell is found to be 535 ± 16 and 495 ± 15 nm for the two systems investigated. This leads to particle radii of 189 ± 6 and 175 ± 5 nm, respectively. These values compare well to the radii determined using several different methods.